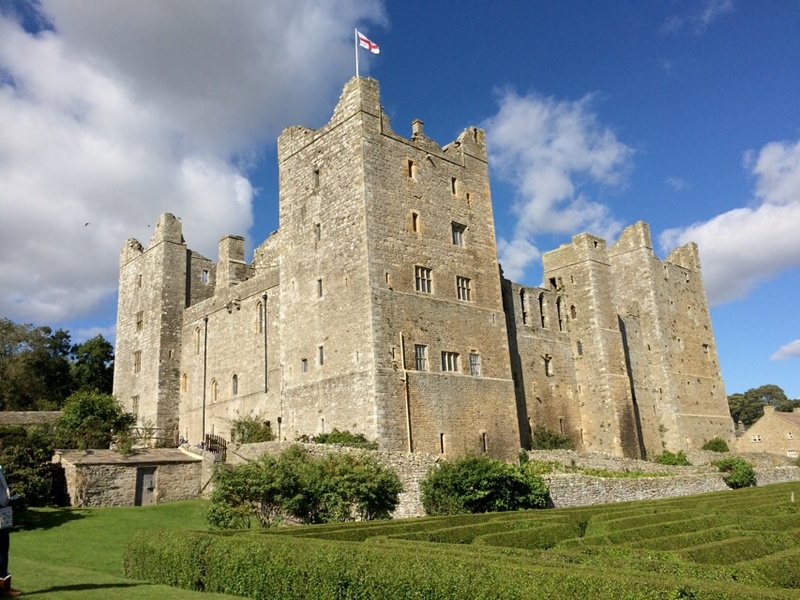 Set amidst the breath-taking beauty of the Yorkshire Dales, Bolton Castle is a magnificent symbol of longevity which has withstood the test of time. Built on strong foundations, it has survived in a challenging and ever changing world. Recently voted the 17th Best Wedding Venue in the UK by The Independent, what better place to celebrate your wedding and the promises you have chosen to make. Release two or ten Doves to symbolise your everlasting love for each other before you and your guests proceed with the day of celebrations in the magnificent Great Chamber. We are licensed to hold civil ceremonies and partnerships both in the Castle Gardens and in the Castle itself and can cater for up to 120 guests for the ceremony and reception and up to an additional 120 guests for the evening. There are a great range of menus, drinks packages and venue hire options as well as additional extras to enable you to create your perfect wedding day. If you already have your caterers organised you have the flexibility at Bolton Castle to just hire the venue and our dedicated Wedding Co-ordinator will be on hand every step of the way to help you.